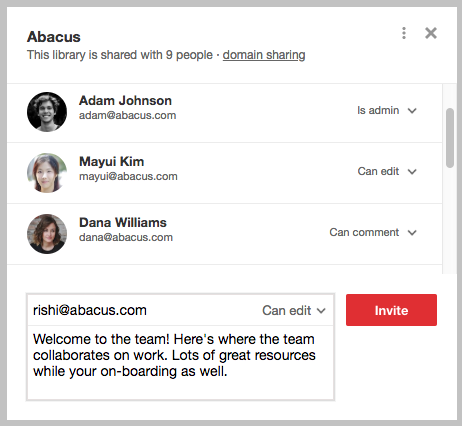 We now allow you to add a custom message when you send a team library invite to someone. After you add an email in the Library Sharing dialog, the optional message field will show up. Just add a short note if you'd like. It's a great way to explain what Notejoy is all about and how you intend to use it with your collaborator.